Submitted by fluffy on March 15, 2016 - 12:09am. Oh yeah, sometimes I forget that there's industries where Gantt-based project management actually makes sense. Submitted by sammitch on March 15, 2016 - 12:11am. Submitted by asmcint95 on March 19, 2016 - 7:58pm. 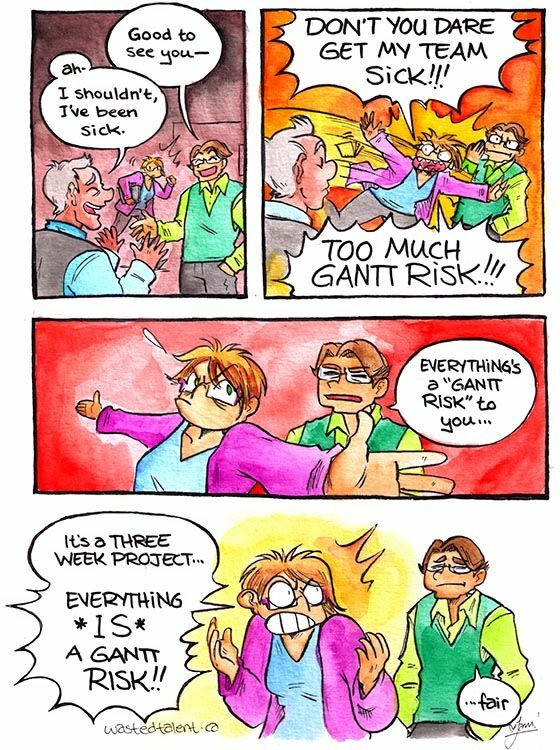 Come on, Angela, what's life without a little Gantt risk?